Using your boat during the warm summer months can be a lot of fun. However, there are several months of the year in which the colder weather does not permit you to use it. During these times, or whenever else it is not in use, having it stored at a proper location is very beneficial. There are several reasons why you should consider having your boat stored in an enclosed storage space. One reason why you should have your boat stored in an enclosed location is that it will be a more secure storage solution. When you have a storage unit that is completely enclosed, there will also be locks on the doors to get into it. Furthermore, the storage facility will be able to offer you video surveillance and other security features. This can help to ensure that nobody who is not permitted will be able to access your boat, which will prevent the risk of theft or vandalism. Another reason why you should have your boat stored at a property that offers enclosed storage is that it can help to provide protection from the elements. During the colder winter months of the year, heavy rains, winds, and other weather can be very damaging to the boat’s exterior. Furthermore, a boat that is not stored in a proper location could end up being a temporary home for rodents and other pests, which could do even further harm to your boat. When you have your boat stored in a secure enclosed location, you can be assured that it will be protected from these potential risks. If you are in need of a storage solution for your boat, you should contact us immediately to discuss the benefits of enclosed storage as well as other services that we can provide you. People who own boats or RVs will sometimes try to store them on at home. Seeing an RV parked next to a person’s house in its own designated area is fairly common. People might do the same thing with their boats. However, this is a solution that has a number of issues. For one thing, boats and RVs can take up a lot of space. This is land that people could be using for something else. There’s also the fact that boats and RVs are very conspicuous on a person’s property. Some people might not like how it looks to have an RV or boat parked next to the house. Getting specialized enclosed storage for the boat or RV may be the better option. 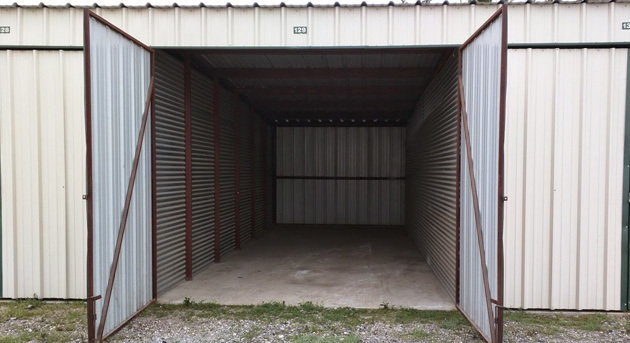 The enclosed, covered, and uncovered storage options that people can get through Party Barn Boat & RV Storage will help everyone get as much use out of their land as possible while still keeping their boats and RVs in good condition. People who keep their boats or RVs nearby may learn quickly that there are clear disadvantages to keeping them parked right next to the house. Snow and icicles can slide off of the house and onto the boats or RVs, causing damage. Rain gutters can also cause potentially damaging leaks. Keeping an RV or boat right next to a house will expose it to the elements on a high level, but the house won’t offer much protection. Enclosed storage, on the other hand, will help people maintain their boats and RVs. With enclosed storage that was specifically designed for the needs of RVs and boats, people can be sure that they aren’t unintentionally exposing their property to any additional hazards. In fact, they’re actually keeping them in a safe place.